Plug our oven into the food truck or trailer of choice, and get ready for the long lines of smiles. 700 ovens later, Fire Within has perfected the mobile wood-fired oven. Built into our trailers over the past ten years, this oven withstands highway cracks and potholes (okay, let’s avoid that one) being towed at speeds greater than 65 mph. Our oven blasts through hail and seals out rain better than any wood-fired oven out there. We’ve figured this mobile thing out, okay? 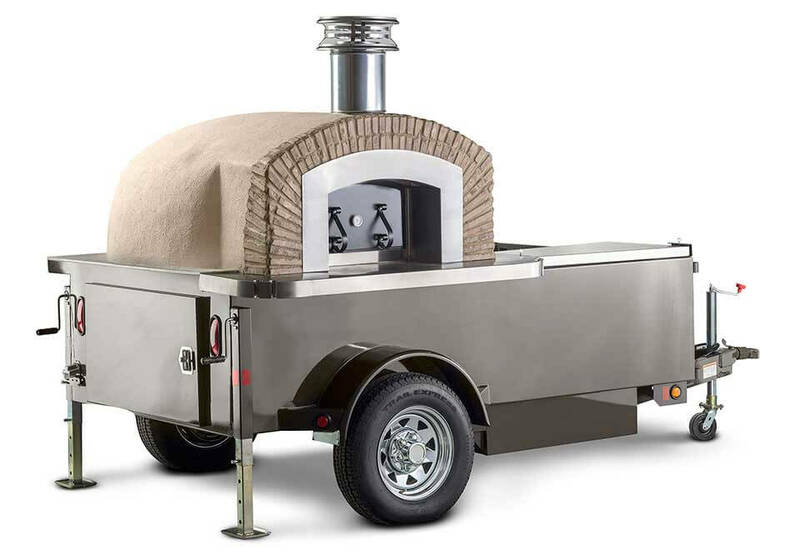 Now, you can purchase our oven…well, minus the trailer. Introducing the Fire Within Primero. We send you our oven in your choice of 44 or 48-inch varieties, and you plug it into your own food truck or trailer. Choose it to be built on a metal stand with wood storage built in, or go without.